It may surprise neuro-typical people to know that there are many benefits to having a brain that lives outside of the box. When people with ADHD learn to live as a part of the world around them, ADHD can become a superpower! Here are 5 benefits experienced by many people who are labeled ADHD. The ADHD brain is very good at making connections. Whilst neuro-typical thinking is often linear, ADHD thinking processes multiple connections at a time. It may seem to the untrained eye that there is a lack of focus. However, often what is happening is a series of experiments with infinite consequences. When a person is comfortable enough with themselves to allow this process to happen, amazing big ideas are often the result. If the status quo no longer works, someone with ADHD can find a new and inventive path to success! Children with ADHD, inattentive type, are often called day dreamers, flighty or airheaded. However, if you ever take a minute and ask them what they are thinking about instead, you will be captivated for hours. Fast forward to adulthood and you may find that the properly nurtured neuro-divergent has created a universe full of character, intrigue and wonder. Chefs like Jamie Oliver often attribute their creative ability with their success. Harnessing the power of that creativity should be a priority for parents. I know that there is a lot of noise at the moment that shows multitasking is not a good thing, but hear me out on this. Neuro-typical brains should not multitask because they aren’t designed that way. However, the ADHD brain not only survives, but thrives on multitasking. If you want a child with and ADHD brain to learn time tables, teach them a dance to go with it. Need to cook several courses at a time, no problem. The ADHD brain will have timings down to a science. Allow them to work in their zone and learning and output will exponentially increase. I once was asked how to teach children with ADHD resilience. I laughed and said, “That’s like asking me to teach John Legend to play scales on a piano.” The joy and sorrow of the ADHD brain is that it is willing to take risks. This means that there are many opportunities for success and failure. Whilst no one likes to struggle, the ADHD brain has a built in fail safe. By the time the failure is realised, the ADHD brain is already dissecting where things went awry and thought of 4 different ways to try it next time. When a person is confident, there are no barriers in life, only a series of obstacles to overcome. Life turns into an adventure course. This is one extremely misunderstood aspect of ADHD. 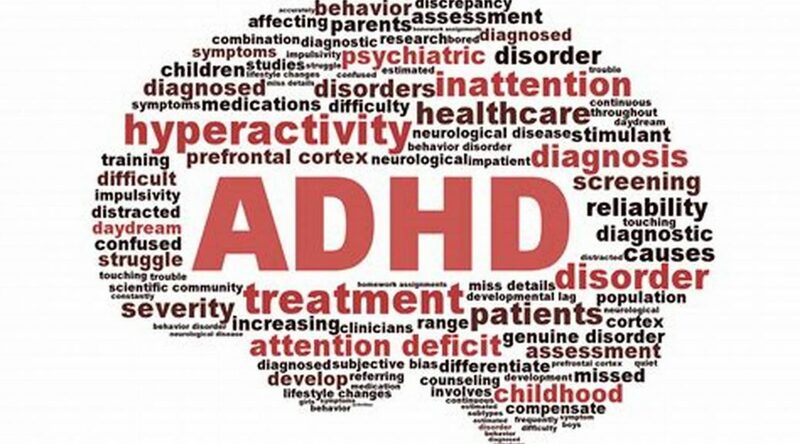 I cannot count the number of times I’ve heard an uneducated family member or coworker say, “They say he has ADHD, but he can play video games just fine.” When the ADHD brain becomes intrigued, it has to know every aspect of a subject. Details are looked at from all angles. Light speed laser focus is put into the obsession until the brain believes it is fully processed. Talk to Michael Phellps about swimming sometime. You will learn details you never knew connected to the sport. There are many more ways that the ADHD brain can exceed all expectation. The trick is, teaching it to survive in a neuro-typical world without being ashamed of their unique perspective. Through nurturing and support, the ADHD brain will thrive with unabashed imagination. The key is helping children find how their superpower looks for them and then letting them fly. By Gwen Jones our Special Educational Needs specialist. Get in touch if you want to know more about our range of SEN talks or support we can provide through 1:1 consultations.